DILLIAN Whyte moved closer to a dream shot at the world heavyweight title after dramatically securing a career-best victory over Joseph Parker in London on Sunday (AEST). Whyte accepted the risky fight in an attempt to force a rematch with Anthony Joshua or a challenge at WBC champion Deontay Wilder. The British brawler may never be a more worthy challenger following his unanimous decision win in which he barely made the final bell. A heavy knockdown in the final round and his exhaustion left him struggling to defend himself against former WBO champion Parker. 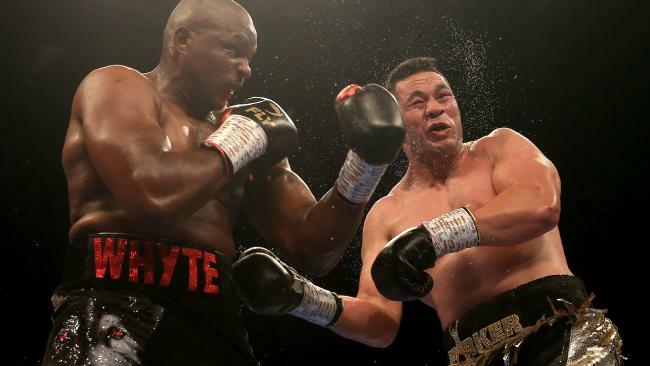 But after two earlier knockdowns, including the first of the New Zealander's career, Whyte received judges' scores of 115-112, 115-110 and 114-111. The referee gets in between the two fighters after Dillian Whyte knocks Joseph Parker to the floor. Knowing he needed a knockout at the end to win, Parker put down a tiring Whyte in the last round but time ran out for him to press the advantage. Parker and Whyte both showed pure class as they embraced each other at the end of the fight as the 02 Arena crowd rose to their feet in awe of the two warriors. Whyte (24-1) has won eight successive fights since losing to Joshua, including former Aussie champion Lucas Browne. Whyte declared after the fight that he wants another shot at Joshua. 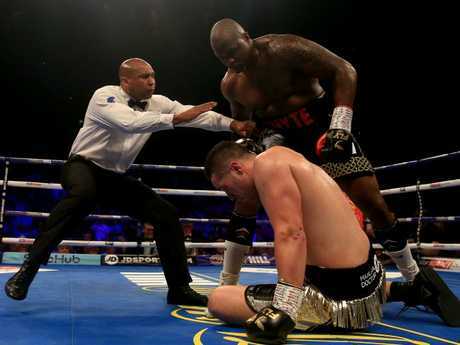 "It was a good fight," Whyte said. "We knew he was going to fight and cheat his way through and then box. I'm annoyed I messed up at the final hurdle. I got rocked, took a knee. "I'm privileged to come here and fight this man, I out-boxed him and have a fast jab. He is 26 and has a massive future. He took this fight at seven weeks notice and we came to fight. "I want to fight Anthony Joshua in a rematch (in April). We would be ready. "I might be out again in October. I'm still so inexperienced and have so much to learn. 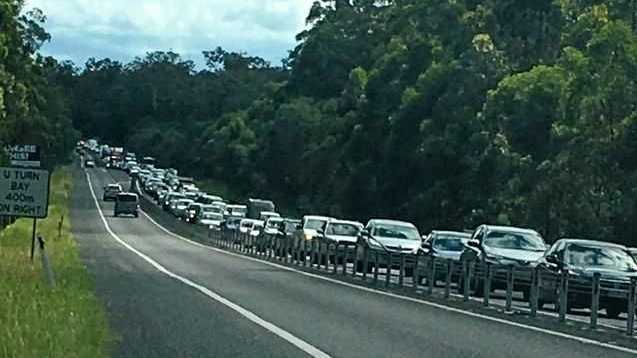 There is still another 40 per cent to come. It was a great fight, I love this man, we showed respect." Parker was gracious in defeat and admitted he didn't do enough early in the fight to persuade the judges. "Everyone thank you for being here tonight, what a great opportunity it is to fight in the UK for a third time," Parker said. "We knew it would be a tough challenge, he is so strong, it shows we have a lot to work on, I want to say congratulations to my brother. I have got 12 rounds to fight, I gave it my best, the better man won. It has been an amazing journey, but it is just the beginning."